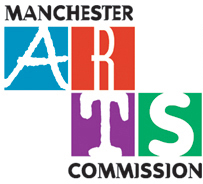 To encourage and generate community-wide participation in the development and appreciation of artistic and cultural activities within the Town of Manchester. To advocate for, and support the goals of the arts community. To create new economic opportunities for the people of Manchester through the expansion of artistic and cultural programs and events. To enhance learning opportunities in the arts for all residents through cooperation and collaboration of the various organizations associated with the arts.